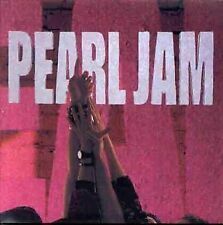 Pearl Jam : Ten CD (2004)Title: Ten Artist: Pearl Jam Genre: Rock/Pop|Rock Duration: 67.20 mins Format: CD / Album Type: CD No. of Discs: 1 disc(s) Studio / Label: Epic UK Release Date: 17 May 2004. Disc 1 13 Wash 3.33 mins. Pearl Jam : No Code CD (2000)Title: No Code Artist: Pearl Jam Genre: Rock/Pop|Rock Duration: 49.30 mins Format: CD / Album Type: CD No. of Discs: 1 disc(s) Studio / Label: Epic UK Release Date: 21 Aug 2000. 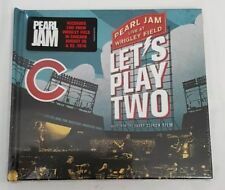 PEARL JAM LET'S PLAY TWO: LIVE FROM WRIGLEY FIELD CD ALBUM. Condition is New. Dispatched with Royal Mail 2nd Class Large Letter. Pearl Jam : Riot Act CD (2002)Title: Riot Act Artist: Pearl Jam Genre: Rock/Pop|Rock Format: CD / Album Type: CD No. of Discs: 1 disc(s) Studio / Label: Epic UK Release Date: 11 Nov 2002. Disc 1 1 Can't Keep 3.39 mins. 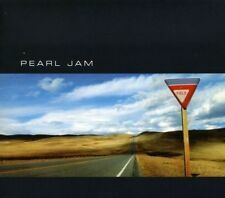 Pearl Jam - Yield [New CD]. Artist: Pearl Jam. Title: Yield. Given to Fly. Format: CD. Release Date: 1998. Item Condition: New and unplayed. Do the Evolution. Pearl Jam : Binaural CD (2002)Title: Binaural Artist: Pearl Jam Genre: Rock/Pop|Rock Duration: 52 mins Format: CD / Album Type: CD No. of Discs: 1 disc(s) Studio / Label: Sony Mid-Price UK Release Date: 20 May 2002. Size is 30x20 cm.The sign is made of steel. PEARL JAM. DAUGHTER. 7" 45 RED VINYL. P/S. SPECIAL EDITION. EPIC 660020 7.1993. Condition is Used. Dispatched with Royal Mail 1st Class Large Letter. Of Discs: 1 disc(s) Studio / Label: Zip City UK Release Date: 07 Dec 2018. Disc 1 7 Tuning Jam. Disc 1 12 Rockin' in the Free World. Disc 1 2 Oceans. Disc 1 16 Yellow Ledbetter. Disc 1 15 Last Kiss. Disc 1 14 Wishlist. Pearl Jam - Lightning Bolt (2013). Condition is Very Good. Dispatched with Royal Mail 2nd Class Large Letter. Pearl Jam - Live On Air -. limited edition Picture Disc Vinyl Lp white Trash Records. SONY MUSIC - 2017 PRESSING. 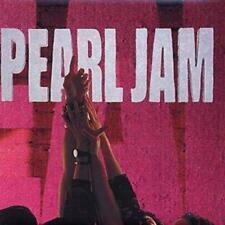 PEARL JAM - TEN - Vinyl Lp -. New & Sealed. Pearl Jam : Lightning Bolt CD (2015) NEW Title: Lightning Bolt Artist: Pearl Jam Genre: Rock/Pop|Rock Format: CD / Album Digipak Type: CD No. of Discs: 1 disc(s) Studio / Label: Virgin EMI Records UK Release Date: 13 Nov 2015. Pearl Jam "Merkin Ball" 2tr CD single. Condition is Like New. Dispatched with Royal Mail 1st Class Large Letter. Pearl Jam Wembley Arena 29 May 2000 Official Live Bootleg 29.5.00 2 CDs . Condition is Good. Dispatched with Royal Mail 1st Class Large Letter. Stone Gossard's (Pearl Jam) first band. Unreleased First ever live recording of Green River from the bands personal archives. For fans of Mudhoney, Green River, Pearl Jam. Recorded on Sept 28,1984 at the Tropicana in Olympia Washington. I only post to a UK post code Artist. Pear Jam Album. Lightning Bolt Label. Monkeywrench. Number. 3749369 Year. 2013 As you can see from the photos the cover, inner sleeve, sticker set and info booklet are all in very nice condition. The only thing of note is a very small bump to top right of the cover. The record has hardly been played.